Lansing Police are looking for two men who allegedly robbed a south Lansing Subway Sunday night -- the second armed robbery at the restaurant in under two weeks. 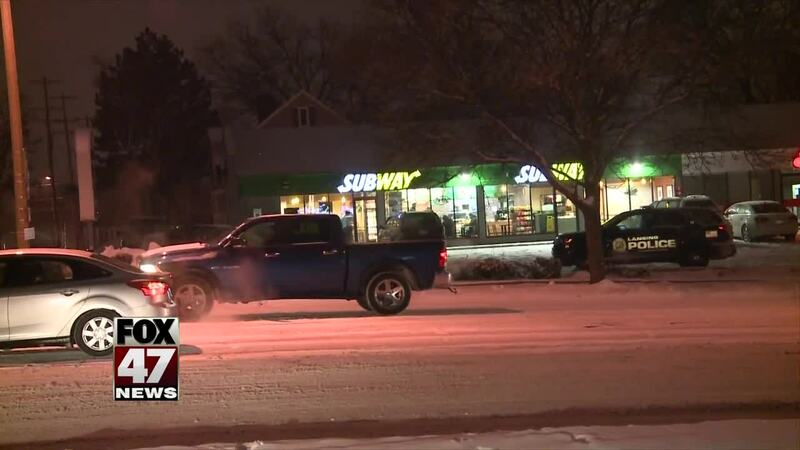 LANSING, Mich. — Lansing Police are looking for two men who allegedly robbed a south Lansing Subway Sunday night -- the second armed robbery at the restaurant in under two weeks. The robbers walked into the Subway near S. Pennsylvania Ave. and Mt. Hope Ave. around 7 p.m. Sunday night, a Lansing police sergeant said. One of the men had a gun, which police believe was an airsoft gun officers found at the scene. The suspects are described as a white man and a black man. Lansing Police continue to investigate. This is the second armed robbery in under two weeks at that Subway and the third robbery in three months. On Feb. 1 , three young men walked into the restaurant with covered faces and demanded cash. One of them also had a gun. On Nov. 6 last year, a man walked in and grabbed cash from the register. No one was hurt in either robbery.